In some companies there is an IT rule that users can’t be local PC Administrators, and the Power User settings are again limited from the defaults that come with a Windows installation. In TF and other vendor applications this can play hacvoc when trying to set defaults, which are stored in file types that Windows Domain Security Policy does not allow to be changed. 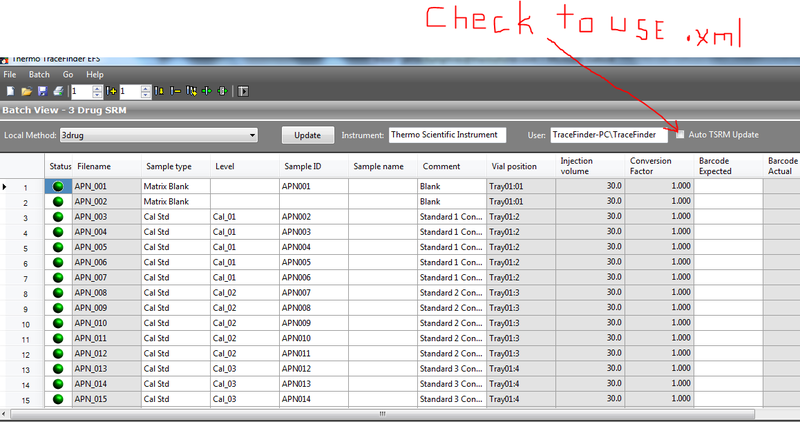 One Example of this is the Default settings in Configuration, of TraceFinder. When a user tries to make adjustments to the default window settings, or the mass precision, for example. A message will popup saying these settings can’t be changed except by an domain or local PC administrator. 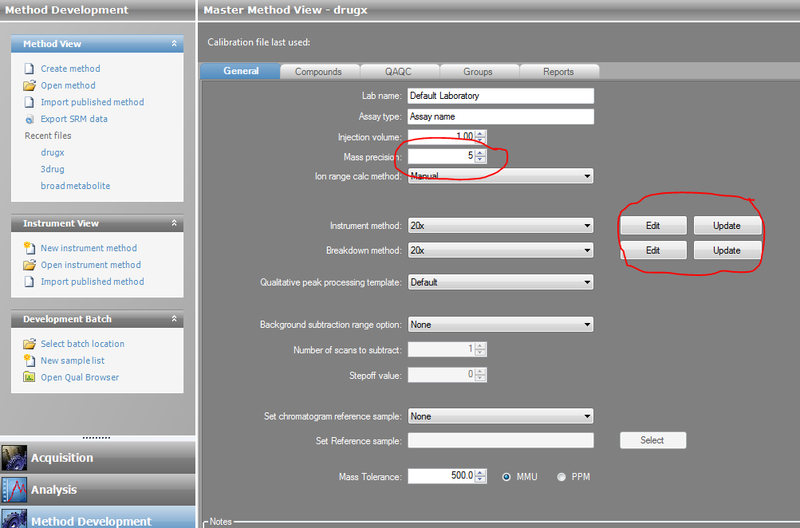 If this is the case then these settings can be adjusted under the General tab of the Master or Local Method. If you are doing many different types of experiments this is the area you will make the changes for your different methods anyway. So if you run up against the Security issue above. Just keep moving down the track and use the Master Method to make your adjustments. Even though its the most memorable line from the movie “Highlander”, this statement has come up many times for assays where semi quantitation occurs in screening analysis. One way to accomplish a rough estimate calculated amount is to use the ability to use a single calibration level for a compound. When you do this there are two settings in the Method setting that can be used. average will estimate the calcualted amount. the response of the one calibration point. Thereby giving you a curve to estimate the calcualted amount from. There is a third way using Internal Standards, but we’ll save that for another day. From the blog, what in recent history caused custom reports from working and how do you get them working again. From history, what was the system used to break SHARK in WWII? Again the first person to answer correctly can add their own thoughts and helpful hints to the WORLD OF TRACEFINDER, and will receive a gift certificate to Amazon. And finally for all those that commented on my Gavatar picture yesterday from our Office Hours. Here’s a slightly less dark image of the Product Manager. Earlier we had a contest. Many answers of part one of the contest, On May 13th the posting about increasing the processing speed using RAID drives. A side note, we have just tested out the use of Solid State Drives (SSDs) and the performance over the high speed hard disks drives seem to have improved. A a good thing about this is that power consumption is quite a bit less and heat inside the PC case is quite a bit lower so you can have more SSDs in a RAID configuration without having to add more cooling to the PC case. But no one answered how Lord Byron contributed to modern computing. So here’s the answer in brief. Augusta Ada King, Countess of Lovelace (10 December 1815 – 27 November 1852), born Augusta Ada Byron and now commonly known as Ada Lovelace, was an English mathematician and writer chiefly known for her work on Charles Babbage‘s early mechanical general-purpose computer, the analytical engine. Her notes on the engine include what is recognised as the first algorithm intended to be processed by a machine; thanks to this, she is sometimes considered the world’s first computer programmer. Ada was the only legitimate child of the poet Lord Byron (with Anne Isabella Milbanke, 11th Baroness Wentworth). She had no relationship with her father, who died when she was nine. As a young adult, she took an interest in mathematics, and in particular Babbage’s work on the analytical engine. Between 1842 and 1843, she translated an article by Italian mathematician Luigi Menabrea on the engine, which she supplemented with a set of notes of her own. These notes contain what is considered the first computer program — that is, an algorithm encoded for processing by a machine. Ada’s notes are important in the early history of computers. She also foresaw the capability of computers to go beyond mere calculating or number-crunching while others, including Babbage himself, focused only on these capabilities. Wizards and Batches… Removing the Warlock…. In TF there are three main choices to create batches. Each of these come from historical markets that TF is serving. To start there is a selection of the type of creation you want to see. 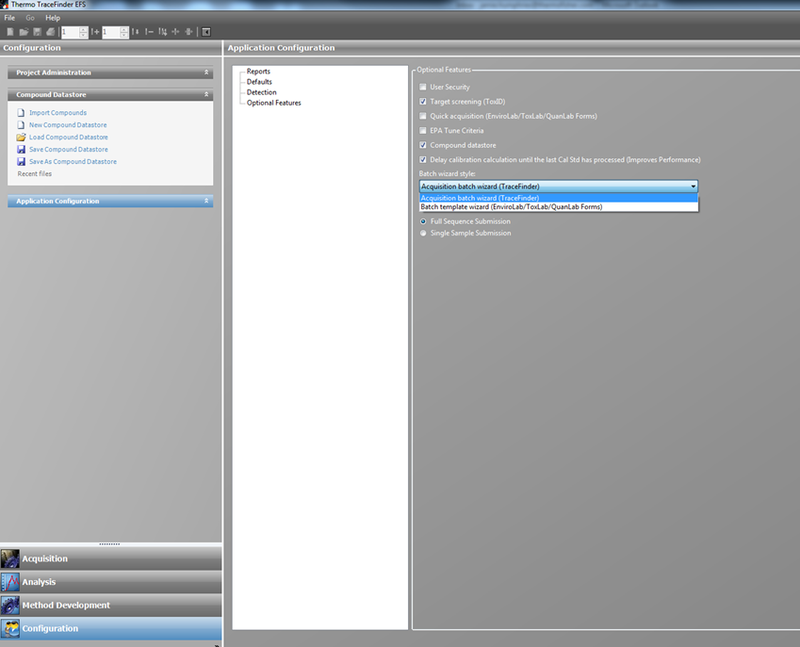 This is located in the Configuration mode under the Optional features section. 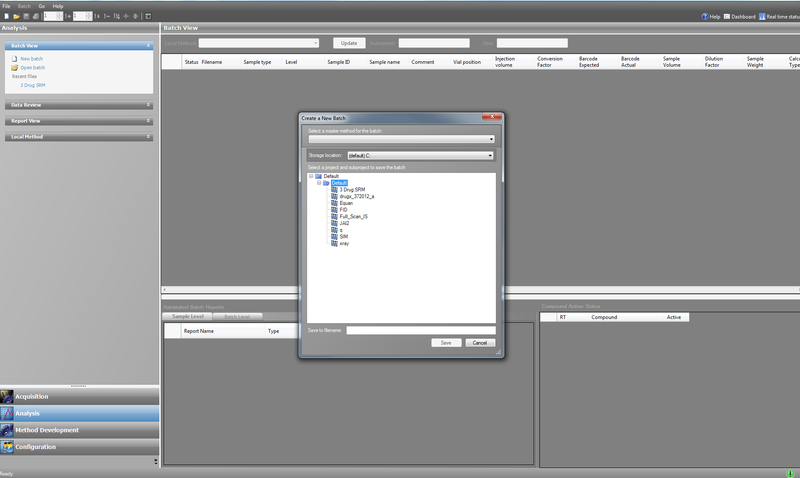 This allows the user to choose between the LabForms style wizard and the TraceFinder Acqustion Mode. The TraceFinder Mode was made to make a wizard like workflow that naturally fit inside the application, and had a bit more intellegent checking of criteria before submitting a batch for Acqusition. This is the reason, that there are four mode buttons when it is enabled. 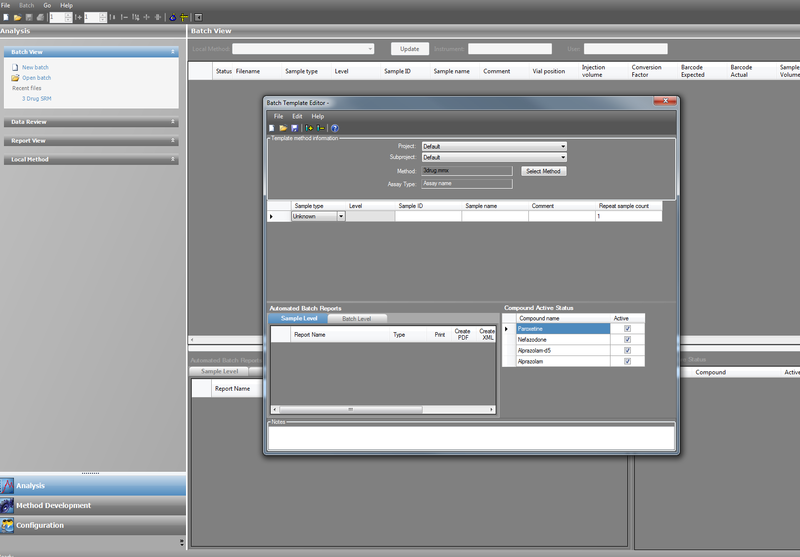 The Historical LabForms wizard was left in place to allow for users of that product to transition their existing workflow into the new application of TraceFinder. Thereby, reducing the cost of the move. This view is more of a popup window and has some unique features. 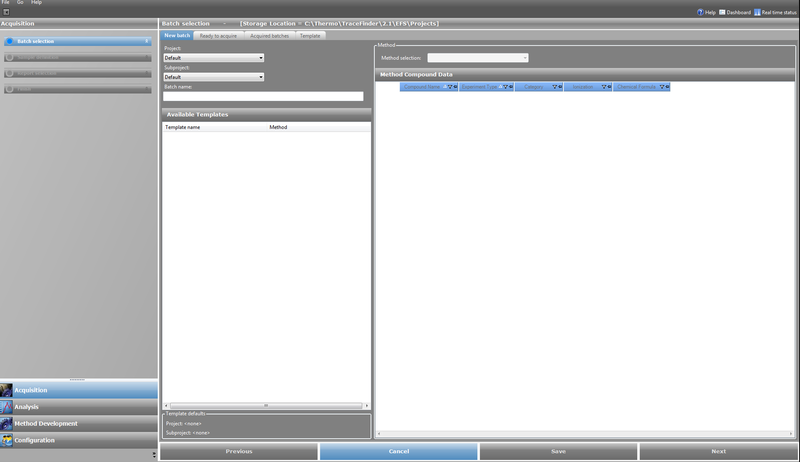 Eirther one allows for templates to be made and utilized in batch creation. Finally Batches can just be made in a regular, non-templeted fashion by using the Batch View new batch selection. What can we do for you, Today? As a member of the product management team, we are highly interested in two of things. 1) What do you have the most issues with that we can answer here on the support blog? 2) What feature would make your life easier in the lab, when we enhance TF? We’d really like to hear back from you readers, so please comment or fill out the forms on the connected tabs. Our sole concern is making you more productive. One thing that TF has as part of its DNA is to be flexible. Method development is a complex process and we are always looking at ways to reduce the effort, but to give flexibility in our approach. One page that has alot of power, but is over looked many times is the General Setting Page. These settings are the general setting for properties in the method. These settings overide the default settings in the Application and apply to the Method and consiquently all the data that is processed with the method. These settings can be changed in at both the Master and Local Method levels. Two points to look at. 1) Mass precision – This applies to all the masses used in producing results. It does not apply to the reporting properties of thethings like RT, or calcualted amounts. 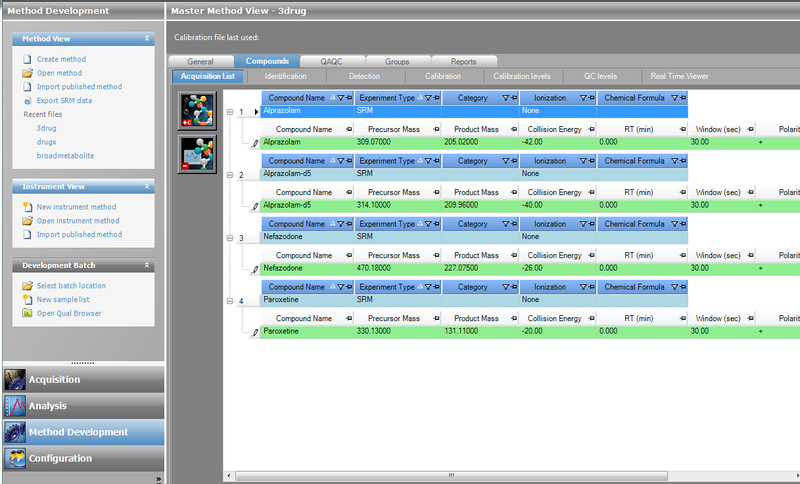 2) Instrument Method Edit/Update – In the master method you have a copy of the selected instrument method, which the ultimate Master instrument method is located in the Xcaliber/Methods directory. When you select edit, you are editing the copy that is located in the Master Method folder. 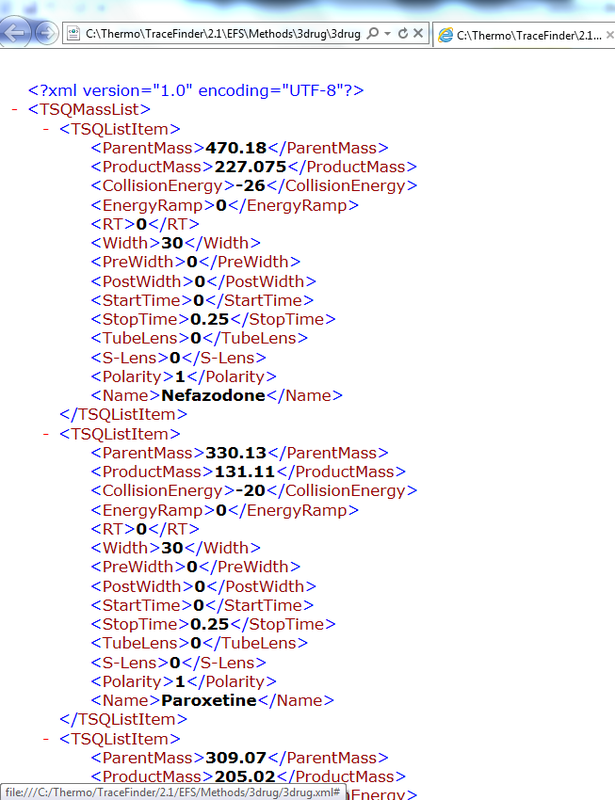 When you select update you are overwriting the changes you made in the Master Method Copy, to the ultimate Instrument Master method in the Xcaliber/Methods directory. When you use these button in the local method you edit the Local Method copy of the instrument method that was copied to the Local Method directory, and the update button copies those changes to the Master Method instrument method. This isolated the Ultimate Master instrument method from batch level changes that you may not want to be inherited by other Master Methods produced in the furture. The first reader to correctly respond with an accurate description of how to speed up performance of their PC using information from the blog AND how Lord Byron influenced the world of computing. Will receive an invitation to share their own particular knowledge to the World of TraceFinder and receive an e-gift certificate to Amazon. Now that I have a CDS, what do I do with it? Well, the end game of the CDS is to supply information that can be used to create methods and acquire data. Here we’ll look at the Acquisition List side of the equation. Here in the data we retrieved from a CDS or PMD file is stored. Note that PMD files do not contain all instrument information but this can be added to a CDS and then adjusted. From here you can select the export SRM data in the Method View tab and an Xml file containing the instrument specific data will be produced. If you open this file in a text editor such as note pad it will contain the information in the Acquisition List in a format that can be imported into the Instrument Method editor. If on the Batch View section or the final page of the Acquisition Mode wizard you select Auto-TSRM update this information is passed to the mass spec at the time of acquisition. This allows the user to collect only the data needed to be processed and allows for manual updates in the batch to be automatically loaded to the mass spec at run time. This does not monitor the RT of peaks and automatically update the mass spec controller, but allows for user input to occur in on place versus having to open the instrument editor for a second adjustment. 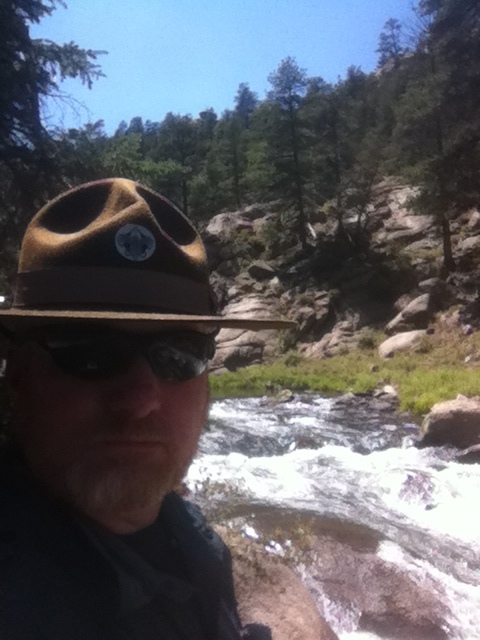 For all those new to the blog. Please let us know what is helpful, not so helpful or what you would like to see. This is a conversation portal so we can get your direct feedback and ideas. Please sign up to follow the blog via email. On a side note: If you would like to demo TraceFinder and not have it installed on your computer, we can provide you with a link to a Cloud installation for a few days to tak it for a spin. This allows you to use TF through a web browser and use our canned demo data. If this is of interest, please fill out the “Ask A Guru” form and request Cloud Access.